Veg and salad produce mostly grown on our farm in Donaghadee, County Down or sourced from other local farmers and growers. Local fruit used whenever seasons allow but climate means we have to import the majority. 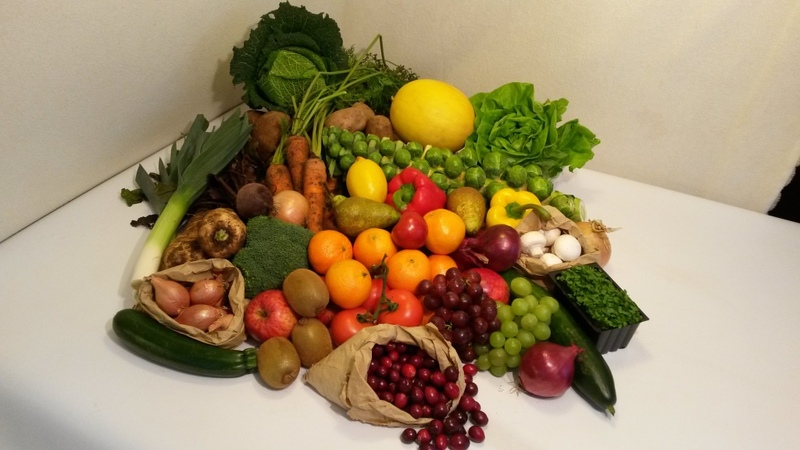 How Our Box Scheme Works Local, seasonal Vegetables, fruit, salads and free range eggs delivered to your door weekly, fortnightly or occasionally. Mostly grown on our farm at Donaghadee we make up different selection every week including basic produce (potatoes, carrots, onions, apples. oranges, bananas) and a selection of other [Seasonal produce]. A recipe is included every week to inspire creative cookery ideas. We offer a wide selection of box types and additional extras to be delivered with your order. Free Delivery! - Delivery is on the same day each week, please use our postcode finder on the home page to see which day we deliver in your area. We will agree somewhere round your house to leave the delivery if you are not at home. 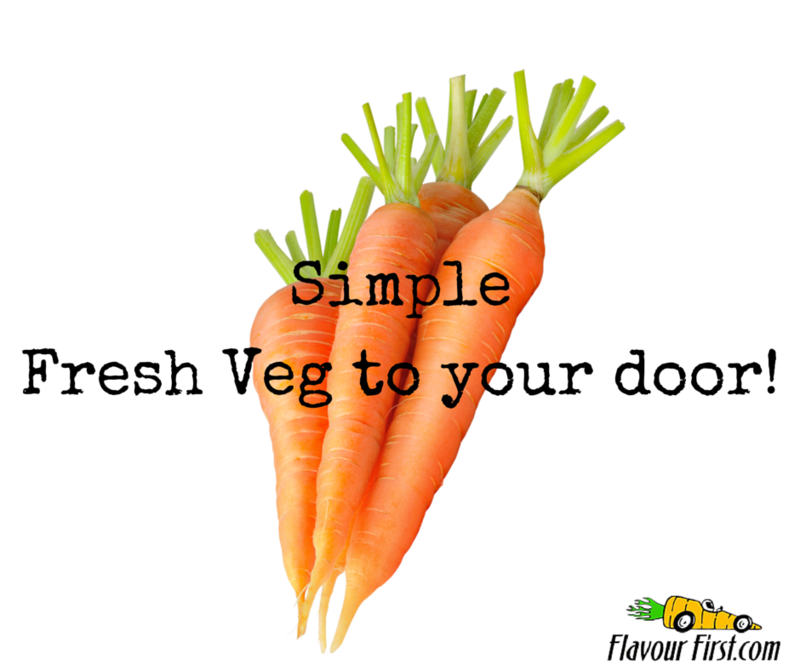 If necessary we can substitute any produce that you may not use, just let us know your 'dislikes'. Payment in advance is required. We offer Paypal facility or a standing order can be set up. Office Deliveries Make your office a great place to work. Provide fresh fruit for your staff or clients to snack on. Choose our weekly Brain Box, containing a fresh range of hand held fruits or build up a tailor made Brain Box to suit your staff's needs. 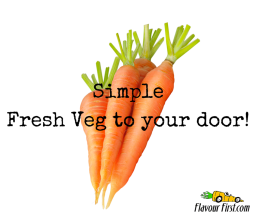 About At Flavour First It's Simple! 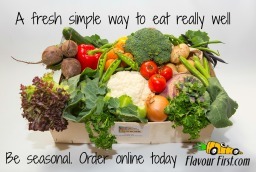 Local, seasonal Veg, fruit, salads and free range eggs delivered to your door weekly, fortnightly or occasionally.